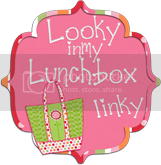 Tech Teacher Tidbits: Lunchbox Linky! Hi Friends! 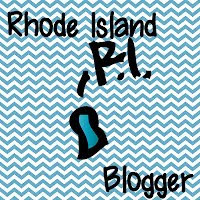 I'm linking up with Tara at 4th Grade Frolics for a fun linky party. Click on the button above if you are interested in joining. The links that I've read so far have been both amusing and quite interesting...! Plus, there's a super cute giveaway if you participate. Shhhh! So here's a picture of my lunchbox. It came from a very dear friend whom I used to team teach with...until we were divorced...involuntarily!!! I admit that I am jealous of the beautiful lunch bags I've seen at this linky party aaannnddd I'm very close to shopping at 31 but I really do like this bag. You see I am most definitely a leftover kind of girl and this lunch box holds just about any plastic container that I have, plus a couple of water bottle (which I see that I forgot to put in my picture...oops!). So today's lunch included a banana for my snack - a good filler and source of energy. The for lunch, I had my husband's baked haddock. He makes the absolute best - LOTS of cracker crumbs, garlic, lemon, parsley....YUM! I also had some watermelon for dessert. The little foil wrapper you see was holding what was left of my Girl Scout cookies - Thin Mints. I enjoyed those during my prep. My lunch schedule is 12:15 to 12:40 which is a good time for eating. Unfortunately, like everyone else, my 25 minute lunch truly comes down to about 15 minutes. I'm not complaining, it's what we do. Teaching has definitely improved my multi-tasking skills! We do not eat with our kids on a daily basis but Tuesdays have turned into my "Lunch with Teacher" reward. It's my duty-free day so I actually do enjoy that time with the kids. So there's the scoop...don't forget to link up! What a good healthy lunch! I am jealous of your lunch break - getting to eat with the teacher as a treat sounds like a great motivator! oooo...looks delish! Sorry I'm so behind in reading, it's been quite the week! Happy weekend!